You either love Anime, or you don’t, there’s no in between! It first came about in 1917 and witnessed a flip-flop in the art-style in 1960’s, with more tweaks in the recent years. Even though the animation style is essentially Japanese (sometimes hand-drawn), it has cumulated a lot of attention and commendation from the west. The thing about Anime is that it can be enjoyed by people across all age-groups, thanks to the fascinating plots. Just like its possible to stream TV series, live sports, and movies online, it is also possible to watch anime online using the internet by virtue of the latest technologies. Although certain channels in certain countries do broadcast popular anime shows but it is pretty inconvenient considering that you have to stick to a strict schedule. Also, as we mentioned earlier, anime series have engaging storylines so you do not want to miss an episode. About three months ago, just as we were looking for “Mad Psycho 100”, we found that KissAnime.ru, a very famous anime streaming site was pulled down temporarily due to some issues with their video host. Fortunately, it is up and running now but for such circumstances, it is great to have other alternatives of Kissanime. So if you’re an Anime die hard fan, we’ve curated a list of the best anime streaming sites that you can use to watch anime online for free. KissAnime has an extremely attractive design owing to the use of vibrant colours (green mostly) & is one of the top anime streaming sites to watch dubbed anime online. Undoubtedly, it is one of the best free anime streaming sites 2018. On the home page, you’ll see quite a few options in the navigation bar like Anime list, MOBILE, Report/Request, Chat Room, Read Manga, Read Novel, Watch Drama, and Shop. As you scroll down, you’ll see different categories including the latest updates, new & hot, recent additions, and the most popular series. The thumbnails display the genre and the latest episodes available. Once you click on an episode, it’ll ask you to enter captcha after which you can begin watching. This site is perhaps our favourite as it scores high marks on almost all the online media streaming parameters such as video quality, load speeds, ease of use, content, and reliability. It is the go-to site for most anime buffs and consumes low bandwidth. You can also set the video quality manually between 240p and 1080p depending pon your internet speed. What’s more? You can even have discussions using their forum relevant to anime series. 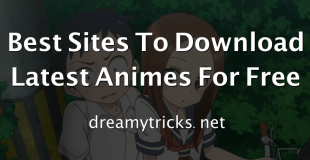 If you want to save anime offline on your device before watching it, then you should check out these best anime download sites. 9Anime uses a purple colour theme for their website, immediately catching a user’s attention. It is another free anime website like Kissanime that has huge database. The high-points of this site is that you can watch majority of the content in high-definition and request anime series using the ‘request’ button at the top of the home screen if you’d like to watch a show that’s missing on the site. You’ll also notice other tabs such as ‘Newest’, ‘Genre’, ‘Types’, ‘Most Watched’, and ‘Upcoming’, making it easier to select a series based on your preferences. It is one of the few sites to feature dubbed (in English) anime so don’t fret if you hate subtitles and don’t understand Japanese. Not only can you stream anime series on this site but also download many of them for viewing offline. To boot, despite being a free anime streaming service, 9Anime offers its content sans ads, what’s not to like? Due to all these factors, it is often compared to KissAnime and is definitely a contender with equal benefits, if not more. It’s a new anime streaming site but it’s one of best site to watch your favourite anime online for free. You can find both english dubbed and subbed animes on this site. UI of this siteis extremely good, you can find almost every anime via search button. There is also a chat widget available on this site which allows you to chat with other people who are accessing this site. You can also check trending animes section if you don’t have name of any particular anime in your mind while browsing this site. Moreover there is no need to worry about the availability of the content as there are multiple mirrors available for almost every anime listed on this site. AnimeSeason boasts of a clean interface, scoring high on ease of use. The design is quite sophisticated displaying categories such as ‘full series listing’, ‘highest rated series’, ‘genres’, ‘most recent series’, and ‘on-going series’ on the left. Upon clicking an anime title, it pulls up a page showing useful information like the release year, genre, number of episodes, summary, and ratings. You can scroll down to find a particular episode and hit play. Most of the series are available for watching in HD, supplemented with English subtitles. 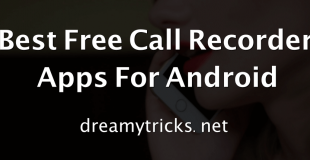 You’ll notice that there are hardly any commercials, which is a huge plus when it comes to free services. It features popular series like Hunter X Hunter, World Trigger, Alice to Zouroku, and Strike the Blood II. Equipped with a fairly decent interface, chia-anime is another great free anime streaming site. It flaunts an extensive anime series library including the most popular ones’ like Naruto Shippuden, Bleach, One Piece, Reborn!, Gintama, and Highschool of the Dead. Although many reviewers have stated that the look and feel of this site is quite akin to KissAnime, we slightly disagree. The interface and design of chia-anime is not as neat and is a little disarrayed. Nonetheless, it is quite easy to figure out how to navigate through the site. The thumbnails are well-sized and show information such as whether the title is subbed or not, how long ago was it uploaded, and the episode number. You can watch the content in HD quality on a laptop/computer or through your mobile and even download content to watch it later. Chia-anime features both, old as well as new series so if you’re up-to date with the latest series, you can catch up on the newest episodes or simply binge-watch the older ones. The best part about this anime site is that it uploads new content in very little time compared all the other sites. Masterani.me is one of the best anime site to stream english dubbed anime online. You can find more than 2500 complete anime series in HD quality on this site. It has a clean & modern UI which is very easy to use, you can search for your favourite anime and select it from the dropdown results or select from many genres available like Action, Adventure, Super Power, Supernatural, Thriller, Vampire etc. After selecting any anime, you can also check average rating, no. of episodes on the left sidebar as well. To start watching any anime, all you have to do is to click on “Start Video” button. It is one the best anime site which is similar to Kissanime. AnimeFreak offers subbed and dubbed anime online at no cost whatsoever. You can browse through the wide selection of anime shows using categories such as ‘genre’, ‘popular anime’, ‘latest episodes’, and ‘latest anime’. It does not have the best design and interface owing to the cluttered and disorderly titles displayed on the home page. However, what does have is a great anime catalogue, including some exclusive ones. If you already know what you wish to watch, simply enter it in the search bar. Their new platform also enables users to read manga, something that you won’t find on every streaming site. One major drawback is that the content is interrupted with short ads and this can be very annoying to some people. It’s one of my favourite sites to watch free anime online as you will not face any kind of annoying pop ads on this site. It has a very clean interface with a black navigation bar on top, listing important pages like Anime Movie, English Sub, English Dub, A-Z List & Request Anime. There is also a search bar located in the sidebar using which you can easily search for your favourite anime. The process of initiating the anime streaming is very swift & smooth. Moreover, you can choose from multiple servers for most of the animes. Crunchyroll is an excellent anime streaming service that offers over 950 titles to it’s viewers. This is one of the few sites that are completely legal. While it does have a paid plan (a mere $6.95/month) for watching premium content, it also offers a decent collection of free anime series. Similar to other superior movie/TV streaming sites, Crunchyroll runs a slideshow of banners showing the latest updates. At the top of the home page, you’ll see different categories like Shows, Manga, News, Forums, and Premium. On the right-hand side, it displays all the featured shows including To Be Hero, Monster Strike, JoJo’s Bizarre Adventure, etc. This is one website that we can safely say is ‘all-encompassing’. Once you click on a title, it’ll show a reel of episodes to choose from and an option to select the video quality. You can also check out reviews before watching a certain series. What’s more? Crunchyroll also has an online store that sells character marionettes and Blu-ray DVDs for anime lovers who love to collect stuff. Crunchyroll also has it’s anime app for your smartphone. Since the ‘free’ content catalogue is limited, we advice you to subscribe to the premium membership. 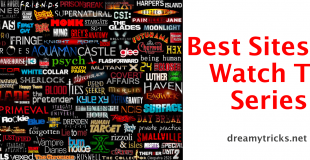 At only $6.95, you get access to all the titles in HD without any ads. Furthermore, as a member you can even get to stream new episodes (Simulcast) just 1 hour after its official air-time in Japan. If you’re not too sure about paying, you may try out their 14-Day free trial period and cancel your subscription whenever you wish. AnimeHeaven allows anime freaks to stream as well as download anime series. It’s one of the best anime streaming sites. The navigation tabs at the top are seen in big, bold fonts, classified into categories like Anime, Dubbed, Movies, Genres, Years, Popular Today, etc. You can either use the aforementioned tabs or simply scroll down the anime series titles listed alphabetically. There’s also a search bar on the top right corner so you could simply key in the title or keyword and find the anime series you’re looking for. Anime Nova is one of the best sources to watch free anime online. You can watch english dubbed anime online without sign up on this site for free. This site has a very clean UI and you can watch list of all animes from navigation menu. Apart from anime series, you can also watch Anime movies on this site. It has got huge database of both free anime series & movies. Here comes another free anime site to watch english subbed anime online. On Homepage, you can find popular anime updates along with their snippet. You can also search for any anime via Search Anime widget available in the sidebar of the website. If you are thinking to start watching any anime then I recommend you to check their “Completed Anime” list as it can be difficult to wait for latest updates in case you start watching uncompleted Anime on their website. GoGoAnime is perhaps the only anime streaming site to augment a user’s experience by also offering an app that is supported on iOS as well as Android devices. It has a fairly good interface that pre-dominantly uses a yellow colour scheme, making the design extremely eye-catching. You’ll find categories like ‘Anime List’, ‘New Seasons’, ‘Movies’, and ‘Popular’ on the home page. When you scroll down, you’ll see large thumbnails of titles showing the episode number, classified under ‘recent release’ and ‘dub’. As the name suggests, ‘dub’ obviously includes titles that are dubbed in English for viewers worldwide. After selecting an episode, you’ll find a ‘download’ button that let’s you download the content for watching it later, as per your convenience. What’s different about GoGoAnime is that it not only offers Anime series but also full-length anime movies, comic, manga, and cartoons, catering to viewers with varied interests. FunimationNow is a well-established streaming company operating in North America. It is another legal anime website flaunting an exemplary design and interface, with tabs like ‘What’s New’, ‘Discover’, ‘Shows’, and ‘Shop’. These categories are easily visible and the over all layout is quite neat. If you move your cursor over these categories, it’ll show up a list of the sub-categories that you can use to browse and select titles. The site even has blogs and an online store selling products like anime accessories, figurines, toys/games, and apparels. While you can watch some of the content on this site for free, we’d recommend you to subscribe to their paid version which costs only $5.99 per month and offers access to all the premium content in HD quality. If you want to test their services before upgrading, you can start a 14-Day free trial and then decide if you want to continue. Owned by a Japanese anime production enterprise, Daisuki is a legal site that offers anime series online streaming. Similar to Funimation, you can view some of the titles for free but it is very limited. To watch premium content, you’ll need to subscribe to the paid plan but don’t worry, it’s not expensive in the least bit. Once you’ve upgraded to the premium membership, you’ll be able to watch all the popular, exclusive, and classic titles in very high resolution. You could then add your most favourite anime series to a ‘personal list’ to watch them later. Daisuki also has an e-commerce section selling plenty of cool anime-related stuff. The company has even launched an app for both iOS and Android smartphones so you’ll never a miss an episode despite being away from home. The quality of this site is definitely top-notch albeit, at a fair price point. Following the death of Hulu’s free anime streaming service, Yahoo, together with Hulu, launched Yahoo View featuring not only Anime, but also movies, Korean TV series, and content belonging to TV networks like ABC, NBC, and FOX. Hulu is already reigning the media streaming space alongside other notable services. Therefore, it’s only obvious that a service in association with Hulu is supremely credible. Currently, the service is only available in the United States but we hope that they’ll expand into other countries soon. Anyhow, you can still watch it outside of the States using a VPN service. Under Anime, you’ll find that the titles are thoughtfully categorized under ‘Popular’, ‘Action & Adventure’, ‘Comedy’, ‘Drama’, and other genres. While a lot of the anime series can be watched for free, you’ll have to pay a small amount if you want to enjoy other categories and services on Yahoo View. Viewster is a legal movie streaming site but it has good collection of animes as well. Note that the content offered in Viewster varies with different countries which means that a guy surfing Viewster from US will have different catalog than from an Australian. I personally recommend all of you to visit this site via USA proxy as the catalog is huge for the US citizens. You should give this site a try if you are looking for a legal site to stream anime online for free. Despite a not-so-attractive looking design, and strictly ‘OK’ user interface, AnimeUltima offers a great library of anime series out of which many can even be downloaded. What’s special about AnimeUltima is that it also has popular games like Tetris, Shoot the Bird, Snake, Poker Frenzy, etc. Most of the titles come with English subtitles and if you’re more inclined towards the dubbed series, you can watch those too. To get started, all you have to do is create a free account. If you like to stay updated about all things Anime, the site also has a slew of discussion forums and polls that often speak of upcoming events relevant to anime. Another legal site to watch anime for free without wasting a single buck. Though this site is exclusive to the Australia & New Zealand citizens only. AnimeLab supports various platforms like Android, iOS, Xbox, Playstation, Apple TV, Chromecast etc. To watch dubbed anime on this site, you have to join their premium membership which will cost you around AUD 6. It is not a streaming site exactly but it’s a very handy site to find which platform is streaming your favorite anime. All you have to do is search for the anime name via the search bar. It will show both paid and free streaming sites on which your searched anime is available. (Tip:- Click on the icon to open the anime page directly of the available platforms). On homepage, you will find some thumbnails of popular animes like One Punch Man, Dragon Ball Z etc. Most of the websites listed above offer their services on the cuff. However, a few of them have part-free and part-paid content with the premium membership available against a very minimal cost. If you’re concerned about the legality aspect, we’d recommend you to subscribe to paid anime streaming sites rather than stream or download on the free sites. On the contrary, if you do not want to shell out any dime, the free anime streaming sites are great too. You can choose one or more sites based on your preferences surrounding factors such as genres, anime sub-categories, services, availability, and design. 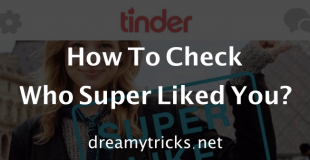 Step By Step Tutorial To Find Out Who Super Liked You On Tinder?